Spray inside of 4- to 5-quart slow cooker with cooking spray. 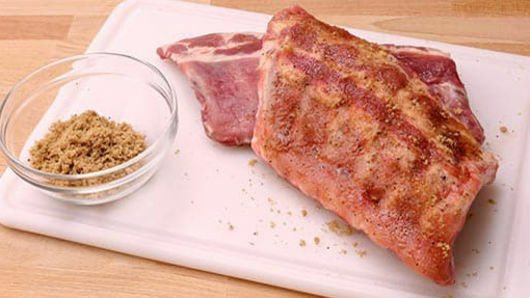 Mix brown sugar, salt and pepper; rub mixture onto ribs, coating both sides. Cut ribs into 8 sections, about 3 ribs each. 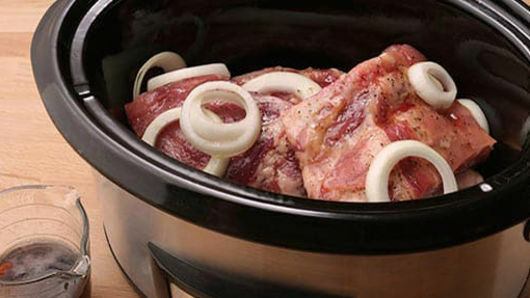 Layer ribs and onion in slow cooker. Pour cola over ribs. Cover; cook on Low heat setting 8 to 9 hours or until tender. 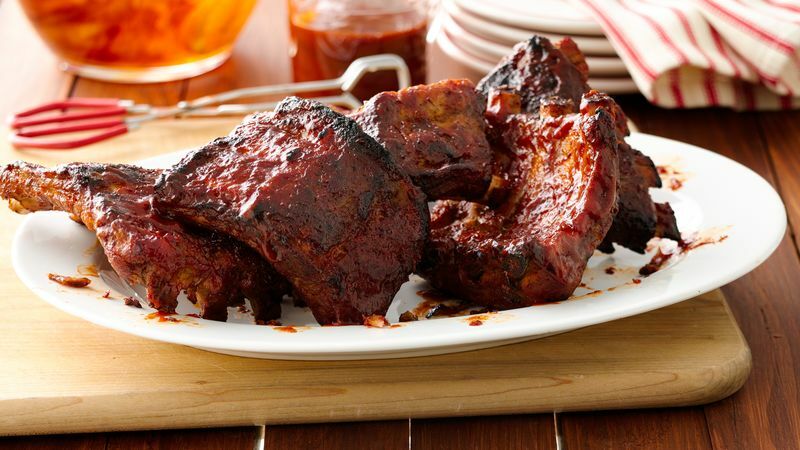 Remove ribs from slow cooker. Discard liquid and onion slices. Set oven control to broil. Spray broiler pan with cooking spray. Pour barbecue sauce into shallow bowl. Dip ribs into sauce, coating both sides. 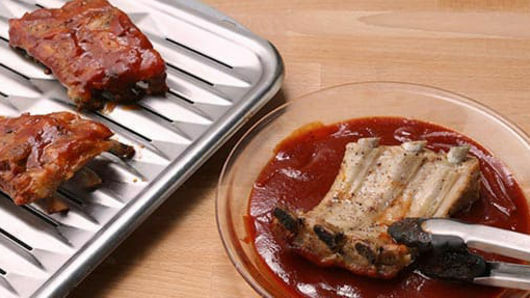 Place ribs on broiler pan, rib side down. Broil with tops of ribs 3 inches from heat 3 to 4 minutes, just until sauce sets up on ribs. 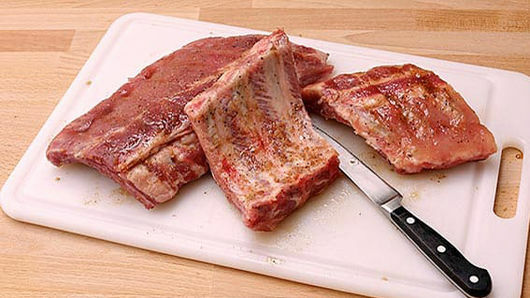 Turn ribs, and broil 3 to 5 minutes longer, just until sauce begins to caramelize. Serve with remaining barbecue sauce. Store leftovers in a plastic food storage bag or container for up to 3 days.